Lambert. Andrew. 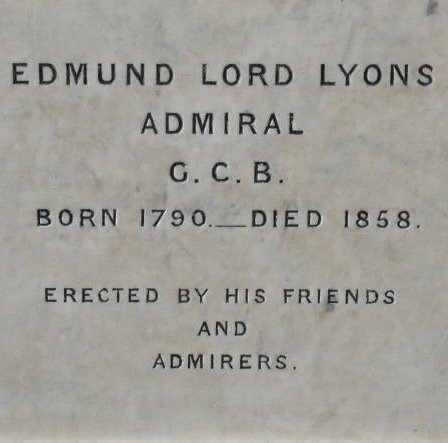 "Lyons, Edmund, first Baron Lyons (1790–1858)." Oxford Dictionary of National Biography. Online ed. Web. 30 July 2014.